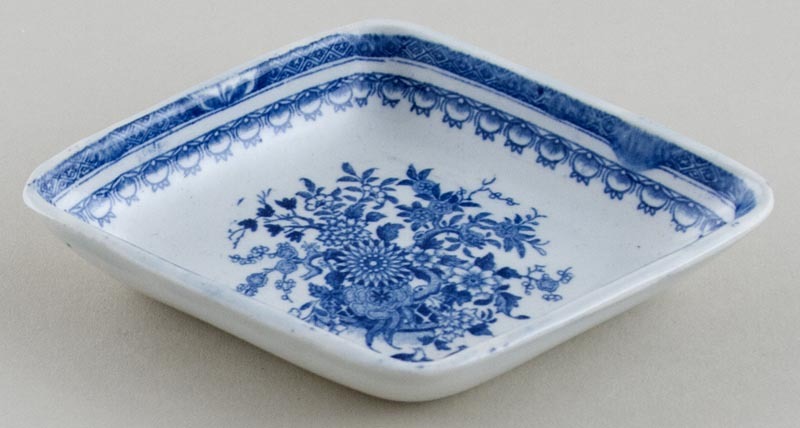 Delightful little dish with pattern on the inside only. No backstamp. There is a little wear to the rim and a few minor manufacturing blemishes, overall excellent condition.